When the Rossignol Soul 7 was first introduced for the 2013-2014 season, it had a resounding impact on the ski industry. Year over year it has continued to be one of the best-selling skis on the market, the original Soul 7’s yellow honeycomb tips have become a common sight at resorts all around the world, and many skiers have come to love its intuitive ride. Then, in the latest (current) iteration of the ski (v3), Rossignol has again tweaked the Soul 7 and has added what they’re calling “Air Tip 2.0,” which is a new version of the now famous honeycomb tip construction. Rossignol says the new tip is “lighter, stronger, and designed to push freeride boundaries even further,” and the current (17/18) version of the Soul 7 HD comes back unchanged for 18/19. The new Soul 7 HD has a very similar shape and rocker profile compared to previous versions of the ski. It has a touch more tip splay and a bit less tail rocker and tail splay than the v2 Soul 7. The v3 Soul 7 HD has about 8-9 mm of camber, which is quite uncommon for a ski this wide. (The v2 Soul 7 has about 6 mm of camber, while the original Soul 7 also had about 8-9 mm). In keeping with a general trend we’re seeing across the industry, the Soul 7 HD got a little narrower. Underfoot, our 188 cm v3 version is measuring about 2.2 mm narrower than the previous 2 versions. We’re not expecting major performance differences here, but the fact is that the Soul 7 trimmed down a bit. Here’s how we’d sum up the flex pattern of the latest Soul 7 HD. The tips on the current Soul 7 HD are a bit softer than the previous two Soul 7’s we’ve tested. And man, those tips really feel soft — we’re talking about pretty much the whole dimpled section of the tip. But get below that dimpled pattern, and the ski is quite stout. And the ski’s dimpled tails don’t go nearly as soft as those dimpled tips. Will that soft tip create a hinge point in the flex pattern of the ski? Maybe. But maybe not … for reasons that we’ll explain in our “Mount Point” section below. For what it’s worth, this latest version of the Soul 7 is really beautifully constructed. It looks great, and it has the best finish quality out of the 3 versions we’ve reviewed. One of the main differences between the current v3 and v2 of the Soul 7 HD is the new “Air Tip 2.0.” Rossignol is claiming the new 3D structure is lighter, stronger, and “fully integrated” into the ski, which is interesting, since we thought the v2 Soul 7 had a bit of a hinge point around where the honeycomb tip met the body of the ski, so we’ll be curious to see whether the new tip addresses that issue. Or maybe this will.. This is one of the most noticeable changes with the new Soul 7 HD. The v3 Soul 7 HD has a recommended mount point of -10.15 cm from center. That’s a pretty traditional mount, and it’s made even more interesting given that the v2 Soul 7 HD had two recommended mount points (-5.9 cm and -7.9 cm), while the original Soul 7 only had one mount point of -5.9 cm from center. So we’ve gone from an original -5.9 cm to a current -10.15 cm. And with the v2 Soul 7 HD, we felt that the ski worked best with bindings mounted at the more rearward line of -7.9 cm. So what about the new, even-more-rearward mount? Well given the very soft tip of the v3 Soul 7, we suspect that the -10 cm mount will allow the skier to still get a bit more forward on the ski and still be able to count on the support of the v3’s stif mid section. Whereas on the v2, there just wasn’t much ski / stability there to press into (especially when mounted at -5.9 cm). Long and short: we’ll definitely be playing around with different mount positions to see how the new Soul 7 HD feels at different mount points. At around 2035 grams per ski, the v3 Soul 7 HD is coming in at a pretty average weight for a 50/50 ski of this width. While it’s technically on the heavier end of the skis listed below, it’s still light. 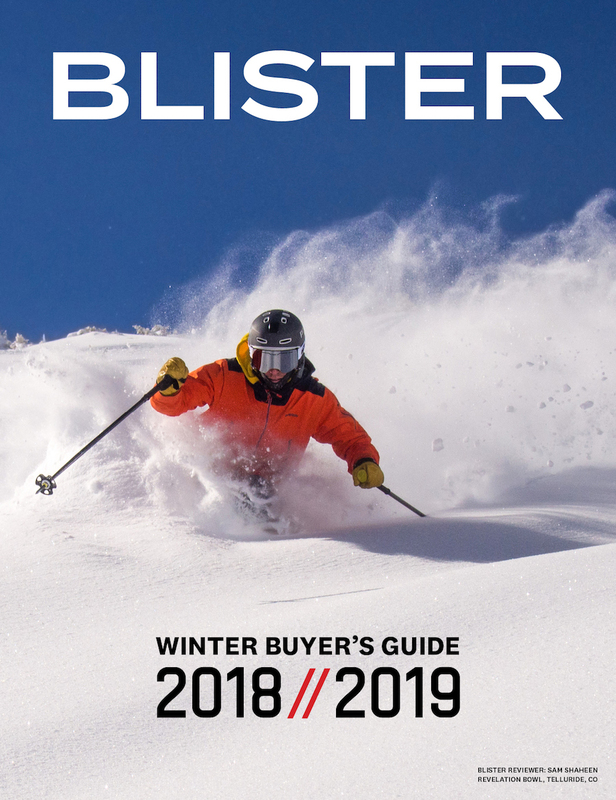 And above all, this list is mostly just pretty eye-opening in terms of exactly how light “all-mountain” skis are getting these days. It’s also interesting that, while the Soul 7 actually got a tiny bit heavier from v1 to v2, there is very little change in weight for v3. So while the Soul 7 was one of the first “light” all-mountain skis, it’s interesting to see that Rossi hasn’t opted to cut weight on the Soul 7. The latest Rossignol Soul 7 HD isn’t a radical departure from the design that’s become famous around the world, but it does have a few key differences that are certainly quite interesting. We’re going to be getting time on the Soul 7 HD in Telluride this weekend, so stay tuned for updates. 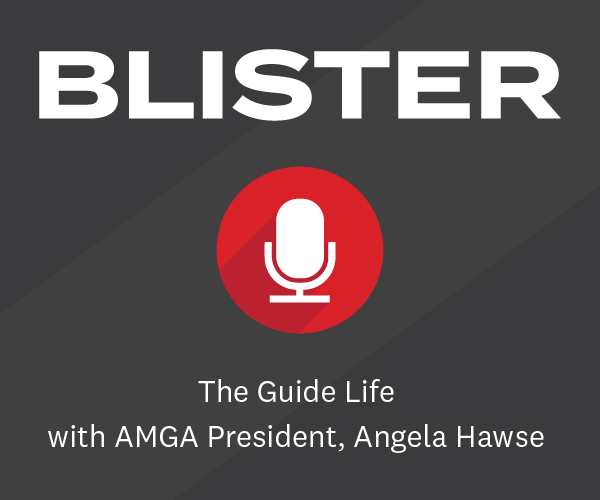 Blister members can now read our initial on-snow impressions in our Flash Review of the Soul 7 HD. Also, given the narrower build, don’t they end up weighing pretty much the same as the latest generation? In your Deep Dive of the Enforcer 110, you compared it to the v2 (16/17) Soul 7, saying “I think you can correctly describe the Enforcer 110 as a more stable Soul 7”. Now that you’re reviewed the v3 Soul 7, how do they compare? Given that the v3 Soul 7 is a bit stiffer than the v2 Soul 7, do they now feel like more similar skis? I mean, we actually say that the tip of the v3 Soul 7 is a touch softer than the previous Souls, and in terms of overall stiffness, keep in mind that lightweight + stiff does not always / often / ever (?) = more stable. The biggest change, I think, in the v3 Soul 7 is the mount point, which works better than the mount points on the v2, primarily because the flex pattern isn’t really all that different. So is the v3 now an Enforcer 110? No. Again, neither is a burly ski, but both *can* be pushed hard by advanced pilots who can / prefer a more dynamic style. But the Enforcer 110 is still heavier, more damp, and has a heavier swing weight. So I wouldn’t at all change my characterization for this v3. I don’t think it is any closer to being / becoming an Enforcer 110 – but both skis are quite accessible, the lighter, more-tip-tapered Soul 7 is (still) just even lighter and quicker. But I wouldn’t say they are now more similar. How does this compare to the DPS F106? On paper, they have a similar easy/fun flex & profile . 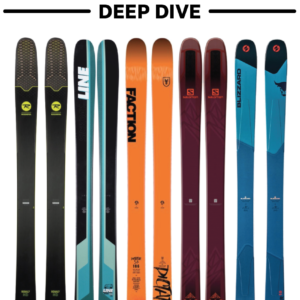 Is it comparable to a ski like the Liberty Origin 106 or K2 Marksman? Would love for y’all to get someone who weighs over 200 but still charges to write some reviews. Lots of people in Big Sky tried the v1 Soul 7. Few liked it much as an alpine ski, other than the tourists. If someone who truly charges and weighs over 200 pounds read any of our Soul 7 reviews and was somehow under the impression that we were calling this ski a charger … I’d submit that they have serious reading comprehension problems. The Soul 7 is not a charger. We never said it was. 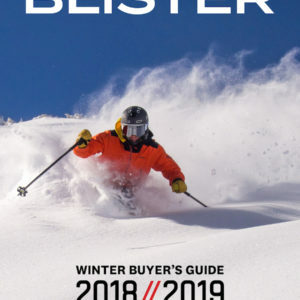 And if there really is a ~200 lb hard charger out there who was like, “I’m trying to decide between the HEAD Monster 108, Blizzard Cochise, or Soul 7 — for truly hard charging around Big Sky” — well, then yes, I guess we’ll need to underscore even further that lightweight skis with incredibly soft tips and tight sidecut radii don’t fit the bill of a true charger. So, I’m above 200lb (~215lb), I ski pretty hard, I love the Soul 7 HD. Perfect combination of fun on the groomers with enough ability to go big’ish in the sidecountry. Anywho, I have a different question for our resident reviewers. I only skied 7-8 days on it this season, varied terrain, and my only concern is the durability of this ski. I usually keep skis on average 5 years, but soft top layer on the 18/19 means that it looks like it might not last another week. Any thoughts on durability or observations in your time with the ski? We haven’t noticed any problems with durability on our pair. 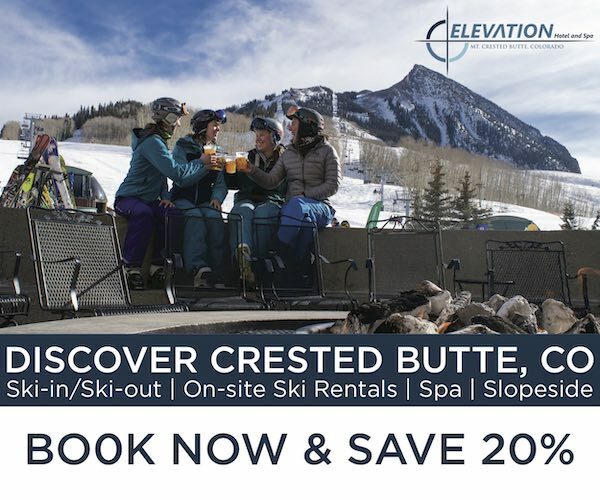 Granted, it is certainly a lightweight ski and the tip is extremely soft, so I wouldn’t imagine it to be as durable as much stiffer, heavier skis. But we haven’t noticed any red flags on our pair. First of all I have to agree with Sam that this ski is just really fun in most any conditions. I’m 178 cm tall and around 75 kg (I don’t understand imperial units :D) and ski the 180. So probably could have sized up, but I actually don’t feel that I need much more ski lengthwise. Maybe I just don’t charge hard enough in variable conditions. But regarding my experience, It is obviously very good in untracked deeper snow and for jumping, but I also love carving these ski really hard. One thing I noticed however when I was skiing with my brother who has the QST 106 17/18 in 181, we changed skis for a few runs and both felt that the soul 7 was actually the slightly more stable of the two in tracked offpiste spring slush. I would attribute that to the slightly bigger weight and slightly more traditional mount of the soul 7. Maybe the heavier bindings on the soul 7 also had something to do with that. Anyway, really cool ski and good review as always. Really struggling with the length to buy. I am 180cm and 75kg. More of a finesse skier than a hard charger. Any views please? Hey Arch, I think either the 180 or 188 cm length would be fine for you. The more you appreciate stability at speed and in variable conditions, I’d go with the 188 cm. The more you value quickness and maneuverability, the more I would lean towards the 180 cm. That said, I think the 188 cm ski is still very quick and maneuverable — I think it would be hard to go wrong with either length. Agree with all of this. It skis fairly short, so 188 is easy as can be. I on the other hand found the 180 to not provide enough stability and braking power. I am about 20kgs heavier though. Sam & Mike. Thanks for coming back so quickly. I have been skiing a fairly short (172cm) Fischer Ranger TI so a bit worried by the 188cm. However sounds like 10cm+ won’t make difference on this ski? Anytime, glad to finally be able to provide some input! Anyways, unless you ski exclusively parks and jumps, I think this ski is better longer (I also use it in the park, but nothing big). I jumped on this ski last season for a couple of days, really fun in soft snow. I have a very centered stance. I’m mounting Shift bindings for this season would going plus 2 on the mount be a bad idea? Hey Jim. I think if you felt like you wanted a bit more quickness from the ski when you tried it out, then going +2cm wouldn’t be a bad call. Personally, I really like this ski on the recommended line and didn’t play around with the mount when I tested it. But I tend to ski with a more forward stance — the more neutral your stance, the less you’ll notice the shorter tip you get when the mount is moved up. Thanks for the quick reply. I realize this ski is not a big carver, and in soft snow it was great, but on groomers I felt like i was only skiing the back half of the ski. I know it skis short and most of my skis are 180 – 184 but these are 188 and feel like 170. I really don’t want to lose the float they have and feel like they will make a great side country ski. I was wondering if the mark’s on the ski (just behind the yellow 188 on the topsheet) are the 0 point or the -10.15cm marking? 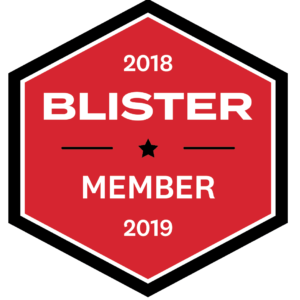 Hi Blister team, excelent review again!! I’m torn between deciding this, rustler 10 or the moment deathwish as my one -ski-quiver. Which would be best? I mostly enjoy moguls and tree runs, steeps and hitting the occasional (but small) cliff. I also like to jump off of natural features all over the mountain. I usually spend all of my time in inbounds -off-piste terrain (rarely do I do groomers). I ski the most on Tahoe, Colorado and sometimes Whistler. I’m 5’7 at 156 pounds. I’m a lightweight (67kilos)? But quite tall guy (184cm). Should I go for 188 or 180? I also have a sizing question on this ski. I’m 5’7 at weight 156 pounds. I usually ski skis my size (170-176 range). I really enjoy to be nimble and agile on the bumps, but don’t want to sacrifice as much stability especially if its not that stable. Should I go with the 172 or 180? Thanks for this review, very helpful. Have you taken a look at the Sky 7 HD? I’m an east coast skier who occasions out west so leaning toward the narrower option between the Sky and Soul for ice/groomer performance. Is that the right way to think about the two or are they totally different ski profiles?